Home > Archive by category "Chapter 7 bankruptcy"
Houston-based ATP Oil and Gas Corp.’s unsecured creditors petitioned a bankruptcy court in Houston to either delegate a trustee to manage the Chapter 11 bankruptcy proceedings of the company or to have the case changed to a Chapter 7 liquidation. ATP filed for Chapter 11 bankruptcy with the Southern District of Texas in July 2012. The company is also facing a lawsuit filed by the U.S. Department of Justice on February 11 for allegedly violating the Clean Water Act on account of discharging oil and chemical dispersant into the Gulf of Mexico. 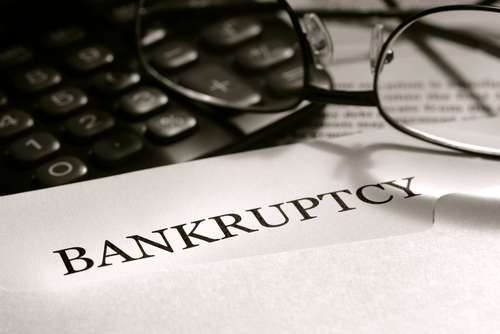 Not only can filing for bankruptcy be complicated, especially as a business, but it can also be difficult to choose what type of bankruptcy is best for your business’s situation. Speak with a knowledgeable Chapter 11 bankruptcy lawyer from the Russell Van Beustring P.C., today about your options when facing financial difficulties by calling 713-973-6650. Lehman Brothers Holding Inc., once the fourth largest bank in the United States, received approval from a bankruptcy judge last week to spend an additional $158 million in professional fees. Since it filed for Chapter 11 bankruptcy protection in 2008 at the height of the financial crisis, it has spent $1.8 billion in bankruptcy legal fees. Lehman Brothers’ bankruptcy is the largest bankruptcy filing in the nation’s history, with the company possessing more than $600 billion in assets. Since it has been in bankruptcy for over four years, its costs to law firms that represent the company as well as financial advisers have caused it to pay astronomical fees to keep them on. According to Reuters, the $158 million it was recently approved for will be payed to 25 law firms as well as other professionals involved in the case. $80 million alone will go to Alvarez & Marsal, a professional services firm that manages Lehman Brothers assets during bankruptcy. Lehman’s fee committee has conflicted with some of the company’s law firms after they demanded rate increases over the course of the bankruptcy case. A hearing is scheduled at the end of the month to resolve the issue. If your company is considering liquidating its assets, liquidation is available under Chapter 11 and Chapter 7 bankruptcy. Small businesses may benefit more from Chapter 7 liquidation, but it is important to consult with an experienced bankruptcy attorney before making any decisions.